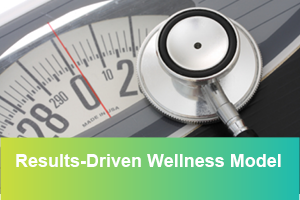 The Results-Driven Wellness Model is a more strategic, all-encompassing health and wellness approach with a focus on productivity, goal setting, health screenings and health management to influence behavior change and realize economic returns. This model is the third and final wellness strategy taught by Larry Chapman as part of the WellCert Program, a Wellness Certification program available via the Chapman Institute. 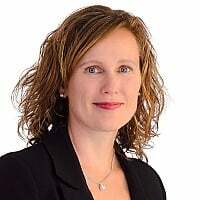 The first of this blog series titled 3 Tips to Selling Corporate Wellness to C-Suite – Know Your Strategy provides an overview of all three wellness models. By this point, wellness has oftentimes become ingrained in your corporate culture (if so, congratulations! it’s the holy grail of wellness), where there is something happening all the time, and employee wellness starts to become a way of life. You may have witnessed a clear path as programs have evolved from the Feel Good Model, to the Traditional Wellness Model to this Results-Driven Model. This model is where you start bringing activities, assessments, deeper measurement and wellness technologies together to help you quantify and evaluate return on investment or value on investment. This model is most effective when employees trust management and there isn’t an entitlement culture. You should already have a diverse smorgasbord of wellness programs and activities in place from the Feel Good and Traditional Models but with this model there will be more emphasis on the potential for health improvement and economic return. Programs and options are typically related to personal and/or corporate wellness goals. Employee’s spouses and children are typically included – this helps reinforce health & wellness throughout the family. Families that are active together are great motivators and supporters of the greater goal. This support is invaluable to achieving employee wellness both in and out of the workplace. Programs are both ‘use at will’ and ‘mandatory’ with higher value incentives. Health and well-being assessments and/or lifestyle questionnaires (if these weren’t offered in the earlier models, they are an essential part of this model). Have a trusting and collaborative culture that is committed to organizational improvement. Perceive ROI is very important. Want to attract and retain rock star employees. Are starting to see the strategic value of wellness and want to start documenting results. 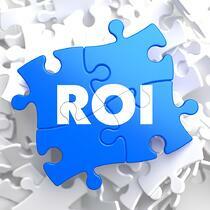 Want to clearly determine benchmarks and quantify wellness program ROI. Feel you have ‘grown out’ of the Traditional Model and want to “super-charge” and align wellness programs with productivity. Have the budget to invest more in programs and incentives. Can invest in wellness technologies and linking data from group benefits claims, employee assistance programs, wearable devices, disability and occupational health systems and any other relevant tools to measure results. Budget approximately $300 - $600 per employee per year. Higher economic returns - between 450% to 650% per year. This is serious ‘results-driven’ wellness. Involves both employees and families. Holding employees accountable for choices and behaviors (consequential wellness). Empowers employees and their families to take control of their health and well-being. 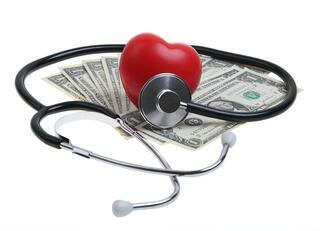 Employees can choose to ‘play’ or ‘pay’ (in terms of higher health or lower premiums). Strong focus on organizational development and evolving corporate culture. Strong commitment by leadership and administration to wellness is required. Leadership participation and communication is prevalent and ‘second nature’. Programs that are abundant, diverse with options for everybody – including major incentives and rewards. Experiment with new programs to prevent participant boredom. Workforce and culture dedicated to world class wellness – 21st Century Wellness. Employees are partners in our success. Let’s attract and retain the most engaged, healthy and committed employees possible and celebrate our successes together. 58-98% of employees will participate. Wellness isn’t just ‘programs’ but a way of life – part of your workplace culture. Nudging those employees that haven’t been engaged in wellness up to now, to get involved (as they will feel the financial impact of choosing not to). Consequential wellness. More effort in terms of budget, time, promotion and overall effort. Could have one or many people leading the wellness charge. Proving ROI is important and organization is committed to doing what it takes to quantify value focusing on several key measurements. 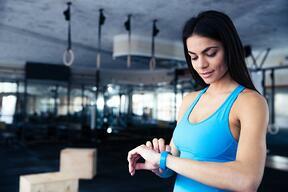 Wellness technologies that have capabilities to integrate with other systems and tools is a must. Analytics tools like HC Cube (that gives you a 360-degree view of employee health from a variety of health and wellness tools) and/or Validic (to integrate information from wearable and devices) are essential to effectively measure wellness program ROI. Remember! Ask the leadership team what they want to measure and plan how you are going to quantify results. Injury prevention (e.g. have back injuries decreased from previous year). Measuring activity levels before the start of each wellness challenge (as your benchmark) and then again at regular intervals (wellness technologies help with this). Productivity metrics such as presenteeism losses. If you haven’t explored wellness technologies as of yet, you will need to in this model. Without technology, it will just be too difficult to accurately and easily measure wellness program ROI. When researching wellness technologies (like CoreHealth's corporate wellness platform), download our helpful Requirements Checklist to help you with your decision making process or give us a call.